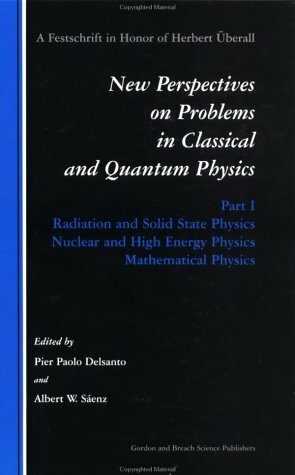 The book contains recent results on the progress in high-energy physics, accelerator, detection and nuclear technologies, as well as nuclear safety in high-energy experimentation and in nuclear industry, covered by leading experts in the field. The forthcoming experiments at the Large Hadron Collider (LHC) at CERN and cosmic-ray experiments are highlighted. Most of the current high-energy experiments and their physical motivation are analyzed. 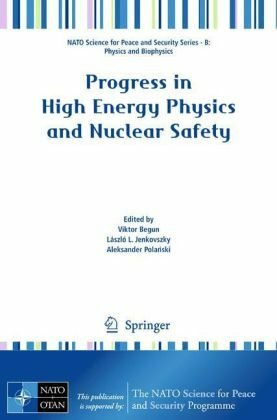 Various nuclear energy safety aspects, including progress in the production of new radiation-resistant materials, new and safe nuclear reactor designs, such as the slowly-burning reactor, as well as the use of coal-nuclear symbiotic methods of energy production can be found in the book. 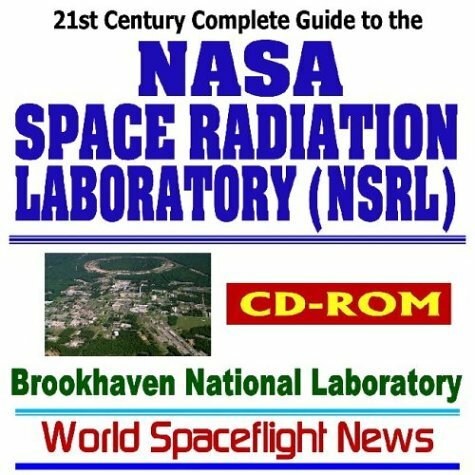 This up-to-date electronic book on CD-ROM covers the NASA Space Radiation Laboratory (NSRL) at the Brookhaven National Laboratory (BNL); the NSRL was previously called the Booster Applications Facility. It is a new experimental facility and acceleratory required to take advantage of heavy ion beams from the Brookhaven Alternating Gradient Synchrotron (AGS) accelerator for radiation effect studies for the space program. Radiation fields encountered in space may cause deleterious effects in humans, and these effects are of special concern for prolonged space missions beyond the protective terrestrial magnetosphere. The purpose of the NASA and Department of Energy (DOE) facility at Brookhaven National Lab is to study the genetic consequences of heavy ions in a hierarchy of biological systems. The biological models used range from a simple system in which damage is studied in isolated DNA, to complex endpoints. Before long missions can be undertaken, a much more detailed understanding of these effects is required to allow planning and implementation of protective countermeasures. Established in 1947, the Brookhaven National Laboratory is a multi-program national laboratory operated by Brookhaven Science Associates for the U.S. Department of Energy (DOE). Located on Long Island, New York in Upton, BNL employs 3000 scientists, engineers, technicians and support staff and over 4000 guest researchers annually conduct research. Five Nobel Prizes have been awarded for discoveries made at BNL. BNL’s role is to produce excellent science and advanced technology by carrying out basic and applied research in long-term, high-risk programs at the frontier of science. Coverage features dramatic color photography and extensive experimental reporting. This CD-ROM has over 9000 pages reproduced using Adobe Acrobat PDF software and Reader software for Windows and Mac is included. Advanced search and indexing features are built into Acrobat Reader, providing a complete full-text index. The Acrobat cataloging technology adds enormous value and uncommon functionality. There is no other reference that is as fast, convenient, comprehensive, and portable! 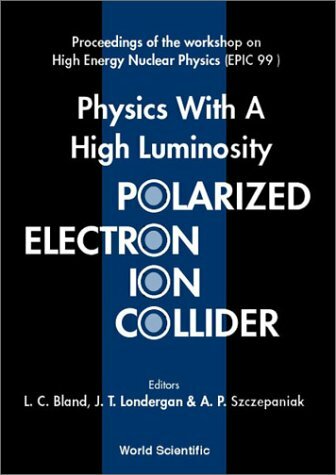 This up-to-date electronic book on CD-ROM covers the RHIC (Relativistic Heavy Ion Collider) at the Brookhaven National Laboratory (BNL). 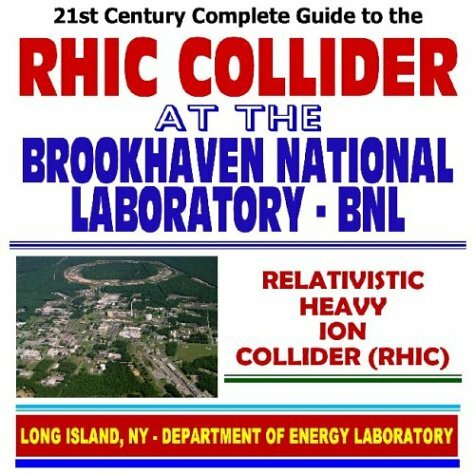 The Relativistic Heavy Ion Collider (RHIC) at Brookhaven National Laboratory is a world-class scientific research facility that began operation in 2000, following 10 years of development and construction. Hundreds of physicists from around the world use RHIC to study what the universe may have looked like in the first few moments after its creation. RHIC drives two intersecting beams of gold ions head-on, in a subatomic collision. What physicists learn from these collisions may help us understand more about why the physical world works the way it does, from the smallest subatomic particles, to the largest stars. Current RHIC experiments. Current experiments using the facility include BRAHMS, PHENIX, PHOBOS, and STAR. Established in 1947, the Brookhaven National Laboratory is a multi-program national laboratory operated by Brookhaven Science Associates for the U.S. Department of Energy.Located on Long Island, New York in Upton, BNL employs 3000 scientists, engineers, technicians and support staff and over 4000 guest researchers annually conduct research. Five Nobel Prizes have been awarded for discoveries made at BNL. BNL’s role is to produce excellent science and advanced technology by carrying out basic and applied research in long-term, high-risk programs at the frontier of science. Coverage features dramatic color photography and extensive experimental reporting. This CD-ROM has over 16,000 pages reproduced using Adobe Acrobat PDF software and Reader software for Windows and Mac is included. Advanced search and indexing features are built into Acrobat Reader, providing a complete full-text index. The Acrobat cataloging technology adds enormous value and uncommon functionality. There is no other reference that is as fast, convenient, comprehensive, and portable!